Now I have to preface first that I'd probably only give these about 3 out of 5 stars. Chris liked them but he isn't as picky as I am when it comes to flavor, if it's palatable he thinks it's great! Not saying this is bad, it's actually rather nice to have that trait in a husband! I'll give you the recipe that I used but then give suggestions at the end as to what I'd do differently next time. Again, this is an okay recipe, just not awesome. Look at all those vegetables!!! 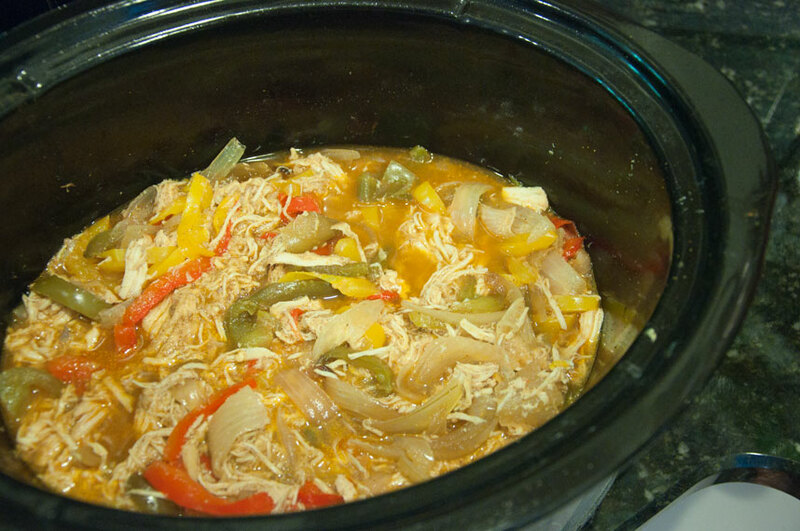 Combine sliced onion and peppers in the bottom of a greased crock pot. Lay chicken on top of veggies. Pour chicken broth over top. 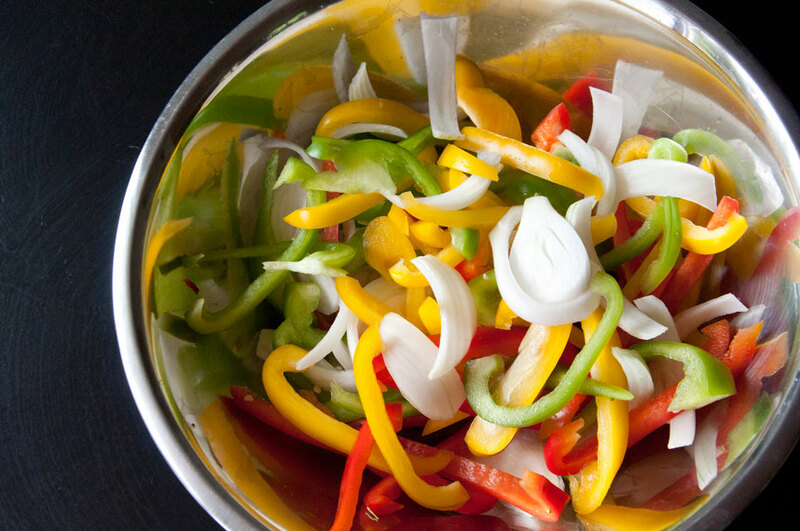 Sprinkle everything with cumin, salt, and chili powder. Squirt lime juice to liking. Cover and cook on low for 8 hours (or on High for 4-6 hours). 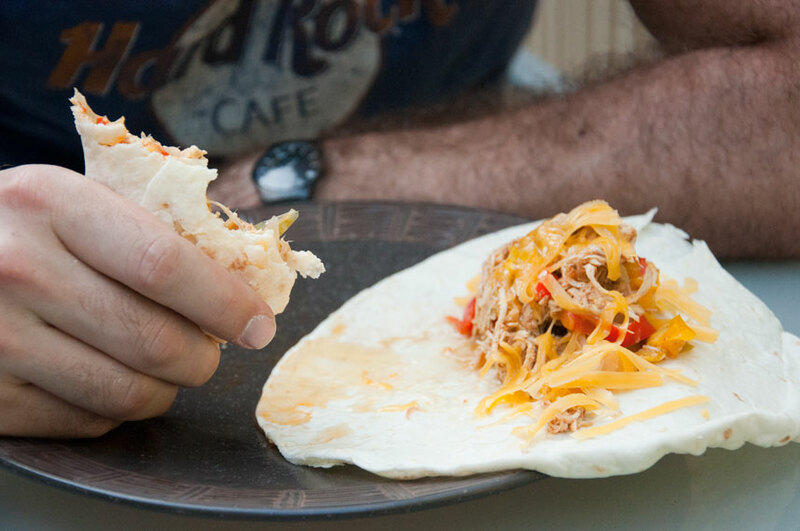 When meat is done, shred with two forks (I place chicken into the kitchen-aid and use my paddle attachment) and stir back into juices. 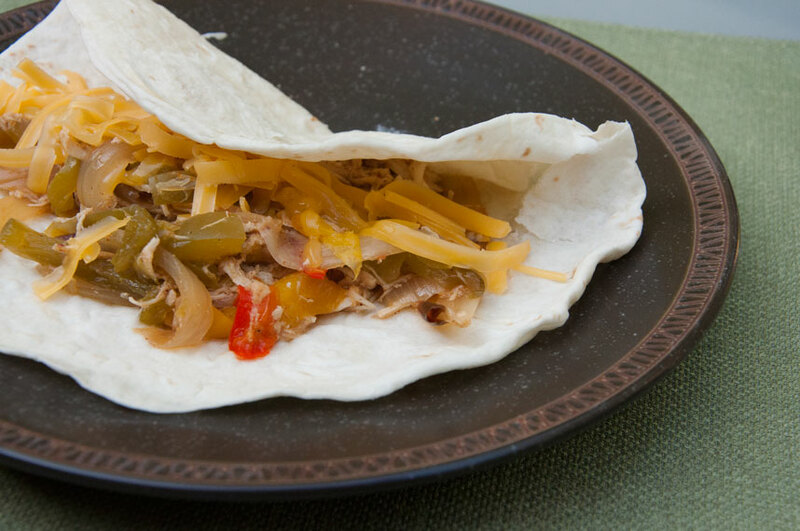 Serve meat mixture with slotted spoon on tortillas with your choice of fixings. See what the problem with this recipe was for me? The excess broth! 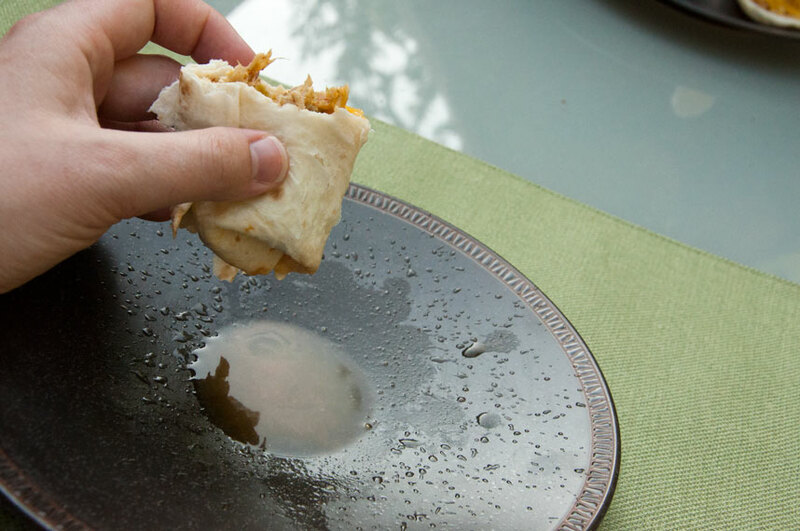 Even with the slotted spoon our fajitas were extremely wet! In addition, I didn't feel like there was enough flavor. I believe the flavors got washed out into the broth. Next time I'm going to try 1/4 cup of broth and add 2 teaspoons of minced garlic. Either way, the husband approved!